This solution ensured a quick return to service after several holes and leaks were identified across a drains line. 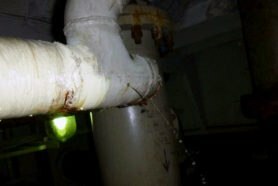 To effectively repair damaged areas and extend the operating life of the equipment, clients enlisted our high performance Emergency Leak Sealing Coating and Polymer Blend technology. 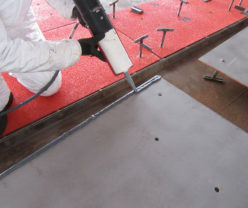 Step 1: Surface Preparation is the necessary first step in any repair project. The Bristle Blaster easily and effectively removes corrosion, mill scale and coatings. It’s ATEX approved for use in Zone 1 (potentially explosive applications) and combines the ability to produce an abrasive blasted finish with the high mobility and flexibility of a portable hand-held tool. Step 2: ARC 5 ES is kneaded and rolled into a cone shape and forced hard against the leak point, stopping the leak. A Tourniquet locks the ARC 5 plug into position while it rapidly cures, and the Tourniquet is removed. 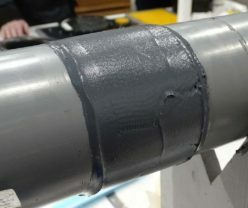 Step 3: ARC 10 Metal Compound is applied around the full circumference of the pipe, ensuring good surface coverage and it wets out the prepared surface completely. The high polymer blend is also applied to a reinforcement wrap which encapsulates the circumference of the pipe. Step4: ARC 10 cures rapidly and the Live Leak Sealing project is complete. 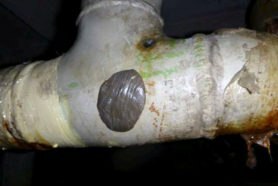 The damaged areas have been repaired with minimal down time required and the equipment is protected against erosion, corrosion and chemical attack. Leaks and holes up to 3mm in diameter were identified in operational underground pipes. A quick and effective solution was required to ensure a speedy return to operation for the drains lines and to provide resistance against future damage to the pipes. 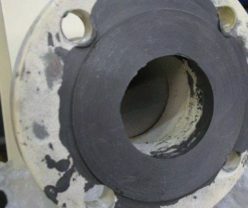 ARC 5 ES Emergency Leak Sealing Putty Grade Coating is a rapid curing industrial Leak Sealing Composite. It’s surface tolerant and achieves a strong adhesion to dry and damp surface areas. It cures at temperatures as low as 4°C (40°F) which was ideal for this project. 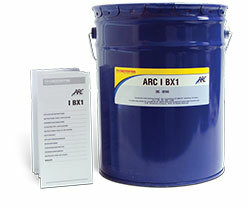 ARC 10 Metal Compound is a polymer alloy reinforced material with high build viscosity, suitable for rebuilding pitted and scored surfaces to a thickness of >6mm (.25”) in a single coat. 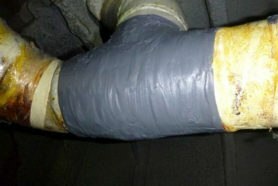 ARC 5 ES quickly and easily sealed the leak and repaired the damaged areas. 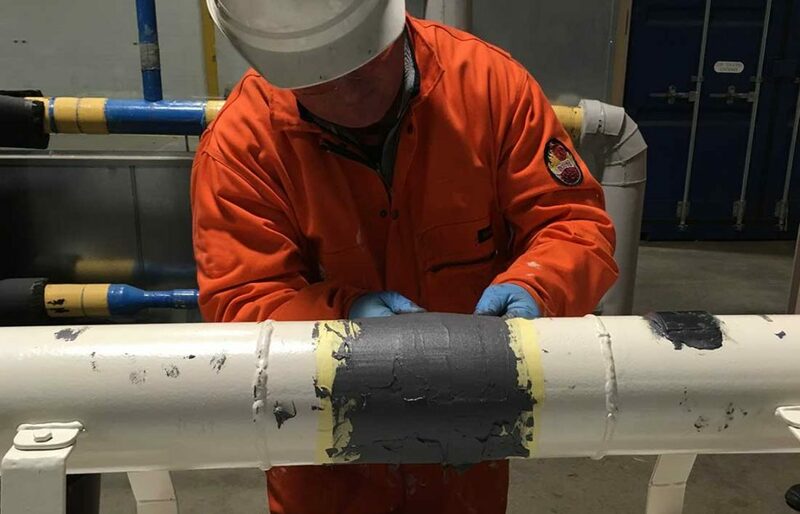 ARC 10 resurfaced the damaged areas and ensures the pitted holes are fully reinforced and that the operating life of the piping equipment is now extended and protected against future erosion, corrosion and chemical attack.